As an outdoor loving family, we all love to go camping. But sometimes getting everything ready can seem like a full-time job. 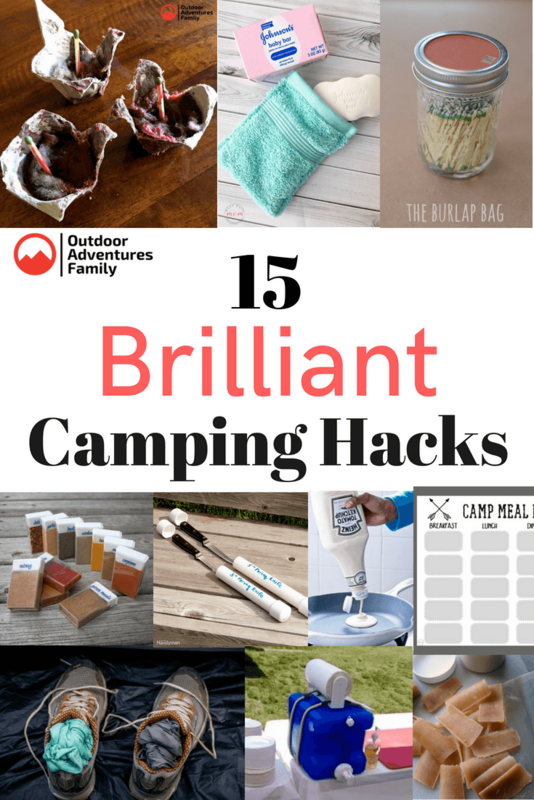 With a little planning and some of these brilliant camping hacks, you can start camping like a pro in no time. 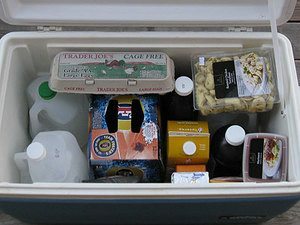 One of the hardest parts of camping is planning meals and making sure you have everything you need. 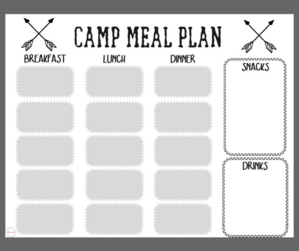 This free printable camping food list and meal plan from Must Have Mom is a great way to ensure you have everything you need before you leave. She also suggests pre-cutting veggies and fruit for easy meal prep. Save time drying dishes buy using some mesh laundry bags. Simply wash, place in the bag and hang to dry. Packing eggs for travel can often yield a lot of broken eggs. Crack eggs before you leave and store in a mason jar or water bottle. 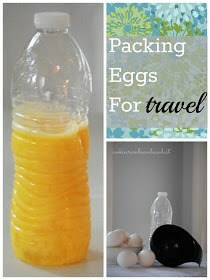 Use a funnel to get eggs into the container. 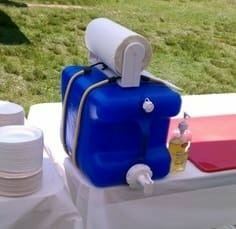 Freeze water in milk jugs or 2 liter bottles for a reusuable, less messy way to keep coolers cold. 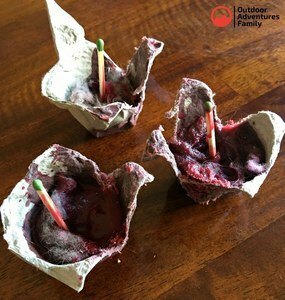 Make your own homemade fighter starters using dryer lint, leftover egg cartons, and wax. Make ahead and store in a baggie until ready to use. In a pinch Dorritos can also be used as fire starter. When camping it is important to keep matches dry. 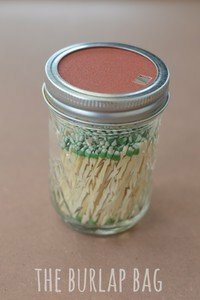 I love this idea of storing matches in a mason jar and adding sandpaper to the lid for the perfect spot to strike them. 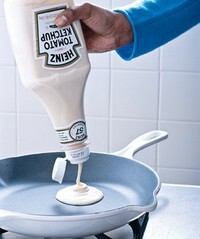 Premake your pancake mix and store in bags or a squeeze bottle for easy pancakes. Just cut the tip off the bag or squeeze the bottle for easy pancakes. Keep the kids busy with a nighttime scavenger hunt. 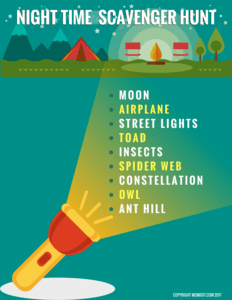 This free printable from MomDot will give the kids plenty of nighttime fun. Use an old landry detergent container for an easy DIY handwashing station. Clean really well, fill with water and attach paper towels for a quick way to wash your hands. 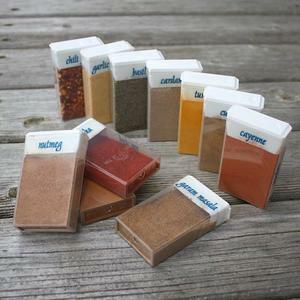 Reuse Tic Tac boxes for spices while travelling. They pack well and take up a lot less space. Plus you can easily bring a variety of spices in more manageable sizes. 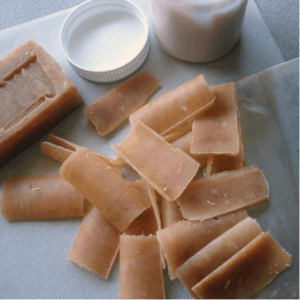 Make single-use soap leaves from your favorite bar soap and a vegetable peeler. What a great idea for bar soap when camping. Or try this DIY soap pouch. 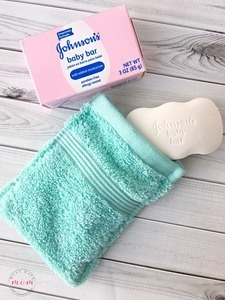 Use your favorite bar soap and it even includes a wash cloth. Everyone gets their own soap and their own wash cloth, brilliant. For those cool nights when camping warm up your sleeping bag. 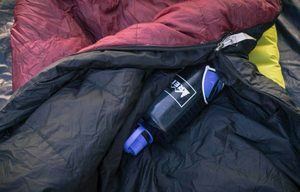 Fill a Nalgene bottle with hot water and place in your sleeping bag when you go to sleep. 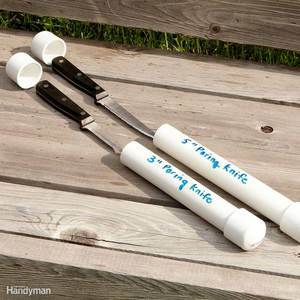 Store knives for camping in these DIY PVC sleeves. Just glue one end on, label and saftely transport your knives while camping. As an added bonus it keeps them away from little hands. Don’t let wet shoes cramp your style. 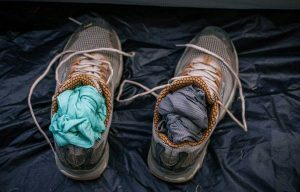 Just remove the insoles, stuff with a dry shirt or newspaper and leave to dry overnight. Wake up to dry shoes!